Turkey's aquaculture exports in 2018 surged by 13 percent year-on-year, official data showed Friday. Seafood exports, led by sea bass, sea bream and trout, totaled $958 million last year, according to data compiled from the Aegean Exporters' Association (EİB). The export volume of seafood, on the other hand, increased to 177,659 tons in quantity. Turkey reached 156,580 tons in aquaculture exports in 2017, amounting to $851 million. The Netherlands led the way in Turkey's aquaculture exports last year with $148 million, followed by Italy with $101 million and Russia with $68 million. Meanwhile, the country's aquaculture exports to South Korea climbed by 114 percent to $20.5 million compared to last year. Turkish Fishery and Animal Products Sector Board Chairman Sinan Kızıltan said they could not reach the $1 billion target due to the decrease in prices in the last three months of 2018. Indicating that aquaculture exports are spearheaded by sea bass, Kızıltan said they are currently selling the product to 80 countries. "We exist in the most challenging countries in the world. Our products are very popular. Not even a single fish has [been] returned for any reason," he added. He pointed out that the fish grown in the country are a higher-value product than the salmon produced in Norway according to the tests conducted by independent institutions. Noting the Turkish fish has proven itself in the export market, Kızıltan stressed they are far ahead of their closest rivals such as Greece and Italy. 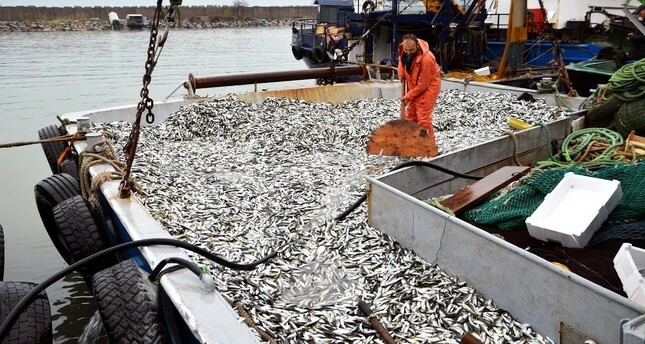 Kızıltan recalled they are currently exporting to 87 countries, saying 95 percent of their exports to the United States is composed of sea bass. "We have not been able to habituate them to bream and trout yet, but we are working on it," he continued. "All the great restaurants in the most famous states have sea bass. We grow 20 percent every year in the U.S. market. We have a favorable position in Russia in terms of sea bream. Our exports to Russia has increased threefold in the last 10 years." Kızıltan stressed they aim to export to 100 countries in the coming year, explaining they have developed new species in this regard. "For example, sea bass production has reached 5,000 tons so far. We will grow slowly. Salmon production in the Black Sea has also increased in recent years. We believe that we will enter 100 countries with these products," he said. "Meanwhile, we need to increase fish consumption in our country. While the fish consumption in Europe is 24 kilograms per person, unfortunately it is about 5 kilograms in Turkey."